Till the end of the year 1954 there was no formal recruiting agency in the state of Jammu and Kashmir. A Public Service Recruitment Board was set up on December 31, 1954. Subsequently with the coming into force of the "Constitution of Jammu and Kashmir State" on 26th of January 1957, "Jammu and Kashmir Public Service Commission" was established, under section 128 of the Constitution of J&K, on September 2, 1957, with Major General Yadev Nath Singh PVC, as it is first Chairman. Posted in Government Job, Job After Btech. Tags: 2014., Govt. jobs, J&K PSC, Last Date: 23 July, Superintendent, vacancy on June 25, 2014 by kavita joshi. JNPT Jawaharlal Nehru Port Trust | Govt. Jobs | Superintendent Recruitment | Last Date: 7th February, 2013. BE/ BTECH (Civil) required in Jawaharlal Nehru Port Trust. Educational Background: BE/ BTECH (Civil) from a recognized University. Posted in Civil, Government Job, Job After Btech, With experience, Without Experience. Tags: 2013., Govt. 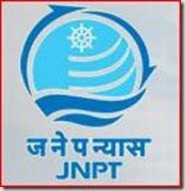 jobs, Jawaharlal Nehru Port Trust, Last Date: 7th February, recruitment, Superintendent on January 18, 2013 by kavita joshi.